There are an estimated 140,000 miles of footpaths in England and Wales, public rights of way that cut across all manner of private land, and due to various quirks of history they have never been fully mapped. It's been 19 years since an Act in Parliament set a deadline of Jan 1, 2026 to map every footpath, and after that, footpaths that are not mapped can be reabsorbed into the private lands they cross, ending ancient rights of way. The Ramblers, a hiking society with radical roots that fomented the creation of the nation's national parks, are leading the charge to complete the maps, through the Don't Lose Your Way campaign. While many of the footpaths they're struggling to save have simply been forgotten, others have been deliberately obscured, often by farmers who want to keep strangers from crossing their fields, and resort to trickery like misleading signs and barbed wire to obfuscate the footpaths. I've spent many happy hours rambling, mostly in Norfolk, where all the paths we took were well-marked, well-loved and well-maintained. The footpaths are a visible remnant of the ancient compact between private landowners and the common people, embodied in such documents as the Charter of the Forest, a much more important and radical document than the Magna Carta. Until last year, when Fraser applied for the path to be recorded, the owner of a nearby house had a gate across it, which was now gone. 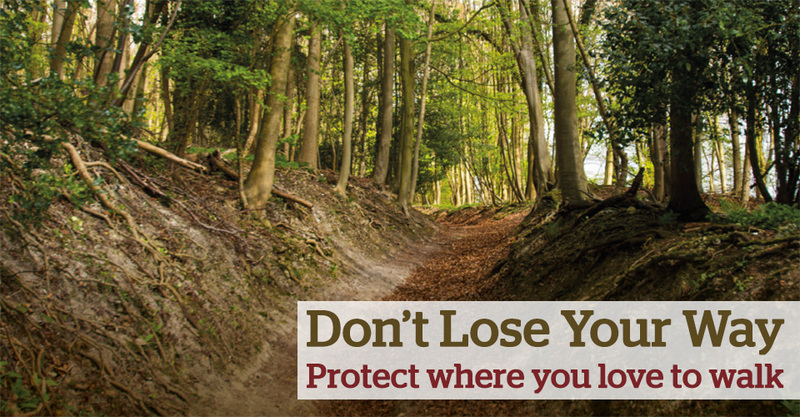 When you attempt to open an old path, you have to inform landowners who might be affected. “He said, ‘You’re just a troublemaker, you are,’ ” Fraser recalled. “And he stanked off.” “Stank” is a Cornish word for walk. Britain’s byways have their own language, too. One of the best sources for lost paths are old maps of the countryside made for tax purposes. Public rights of way show up between parcels of land called “hereditaments.” A valid claim to reinstate a lost path is known as “a reasonable allegation.” Campaigners refer to the 2026 deadline as the Extinguishment.